This posting originated on apothecaryshed 12.23.12. WHEN: Saturday January 5, 2013, doors open at 7:00pm, music starts at 7:30pm. TICKETS: Reservations, $10 adults Buy tickets on the net. The concert is open to the public. Please help us spread the word. 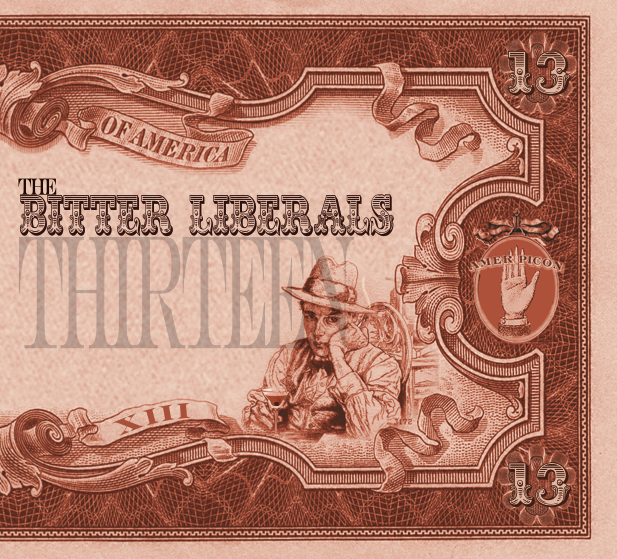 The Bitter Liberals is a band of focused concentration and joyful collaboration, encompassing many years of musical experience. The Bitter Liberals plays all original music of texture and maturity, featuring rich story-telling, fine vocals, and the seasoned musicianship of Allen Kitselman, Mike Jewell, Clark Hansbarger, and Gary McGraw. This entry was posted in 13, band, bitter liberals, CD, gig, original music and tagged 13, berryville, concert, conga, fiddle, guitar. Bookmark the permalink.